Bulgarian football champion CSKA has negotiated with Litex the sale of Brazilian midfielder Tiago Silva, it was officially announced on Thursday. 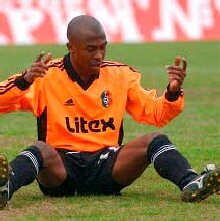 Silva is expected to undergo medical checks and sign a three-year contract with CSKA. He will join his new teammates for a training camp on January 10. According to the CSKA official website, the buy was a Christmas present from the club's President, Vassil Bozhkov, to the fans.